Arthur A. Levine Books, 9781338089394, 32pp. Martha is absolutely cuckoo for birds! She's identified every single bird in the woods behind her house. But one day she sees a bird unlike any other... Can that really be a dodo? It turns out that dodos make very good friends (and are crazy about doughnuts!). 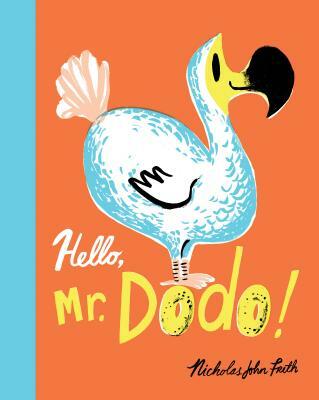 But when Martha's secret gets out and the whole town wants to see her new friend, will Martha have to say good-bye to Mr. Dodo? Nicholas John Frith grew up in the Chiltern Hills in England and went to school just around the corner from the home of Roald Dahl. Having spent many years traveling the world, from Kuala Lumpur to Chile, Nicholas is now drawing from his experiences to create picture books that bring those places to life for young readers. Hector and Hummingbird is Nicholas John Frith's debut picture book. He currently lives and works in Dorset, England.